Parents call on Education Minister not to allow organizations encouraging enlistment of girls into national religious schools. Dozens of parents whose daughters study in the national religious education system (Hemed) signed a petition calling on Education Minister Naftali Bennett not to allow organizations that try to persuade religious girls to enlist in the IDF to appear before high school students. 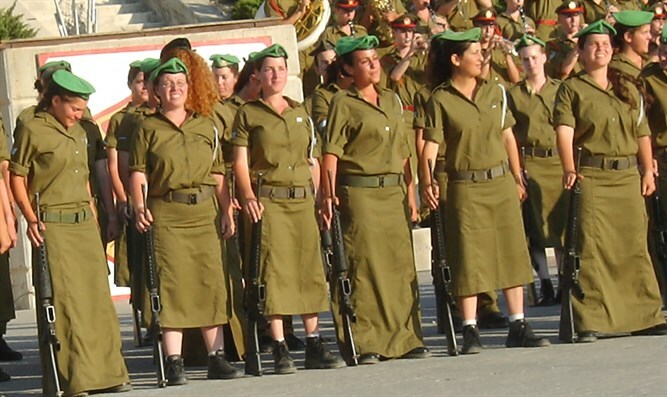 The Chief Rabbinate, during the terms of both religious Zionist and haredi Chief Rabbis, has unequivocally prohibited women's IDF service since the establishment of the state. National Service was created to form a framework for girls to volunteer to serve Israel after high school in much-needed capacities.